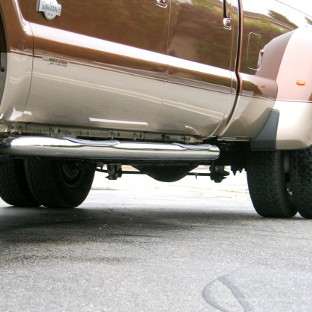 ARIES 3" round side bars equip your vehicle with a dependable, non-skid step. 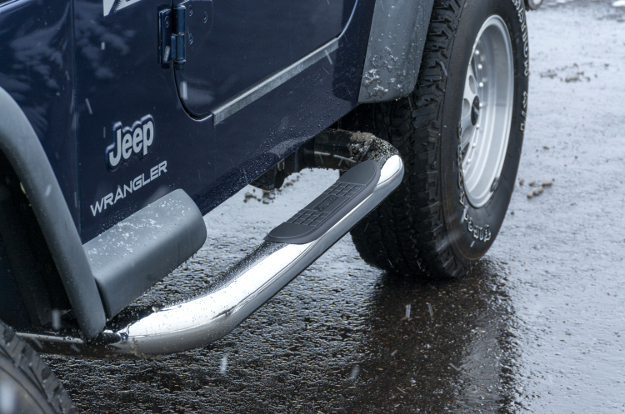 Whether you're taking your Jeep Wrangler offroad or just cruising the town in your lifted truck, these nerf bars are designed vehicle-specific, giving you customized footing without the headache of a custom install. 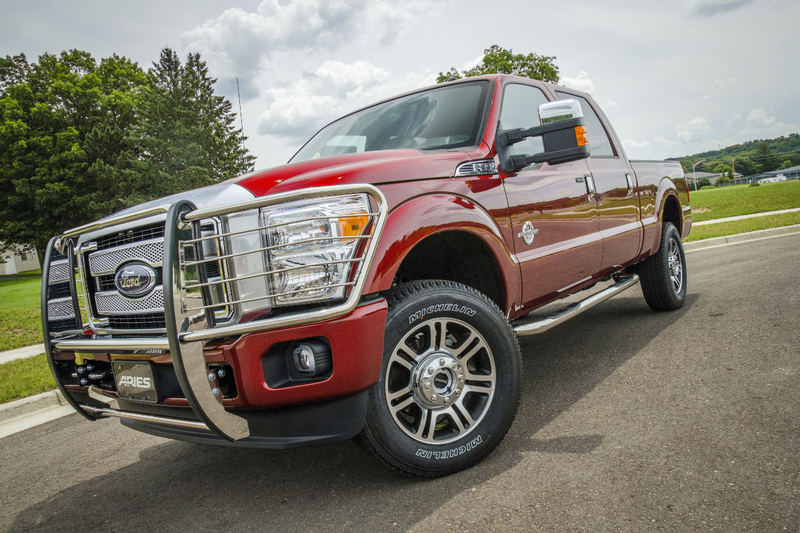 We offer hundreds of applications for our 3" side bars, including a number of older trucks, and we offer three finish options, allowing you to select the look that best suits your vehicle. 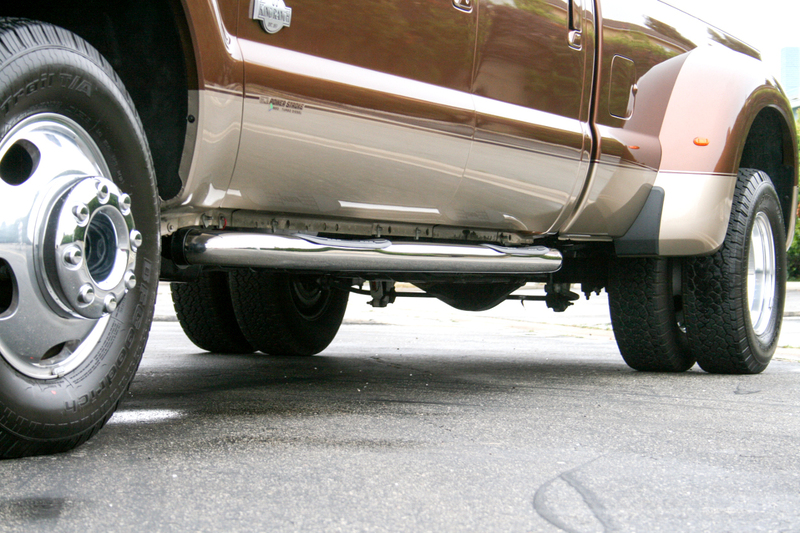 The contour of the tubes, the placement of the step pads and configuration of the mounting brackets are all designed for a unique vehicle application on each set of ARIES 3" side bars. 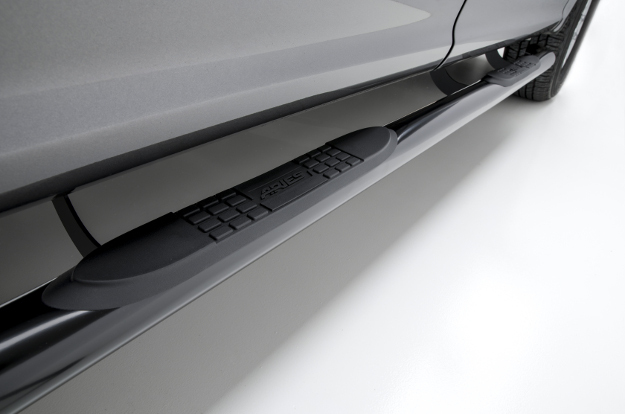 A custom, vehicle-specific fit ensures the easiest possible installation, requiring no drilling or difficult modifications. 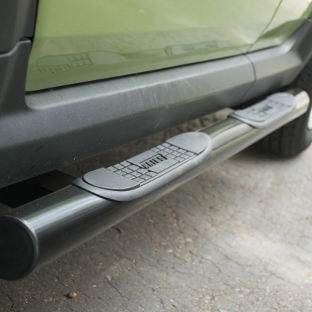 Each set of 3" side bars perfectly integrates with the vehicle's layout. 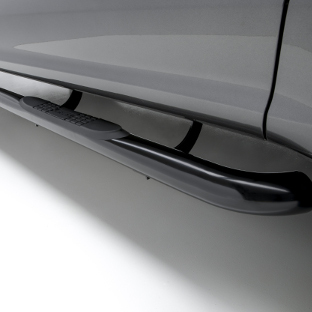 To give your truck, Jeep or SUV the accent it deserves, all ARIES 3" round side bars have a unique contour. We don't do a one-size-fits-all. The tubes are configured and bent to complement each vehicle, accenting its body lines for a truly integrated and original equipment look. The tubes of ARIES 3" side bars are also mandrel-bent. 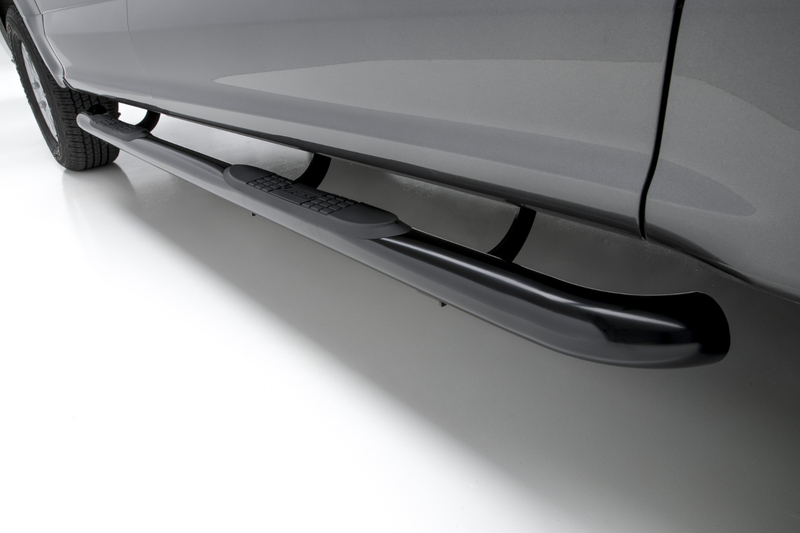 The bends seamlessly contour to the vehicle for a more professionally customized look. 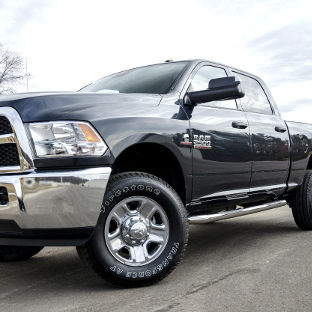 ARIES 3" round side bars aren't just for popular pickup truck brands. 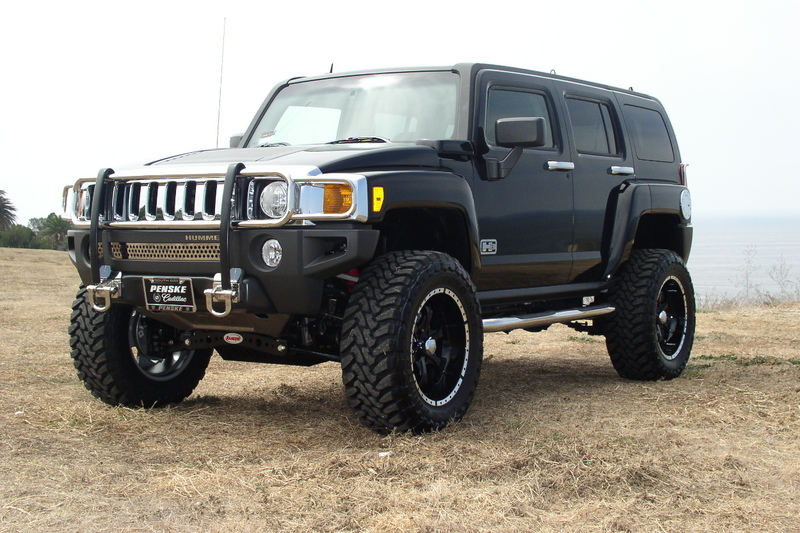 We offer literally hundreds of applications to give you a custom fit and easier entry and exit from your truck, Jeep, SUV or crossover. 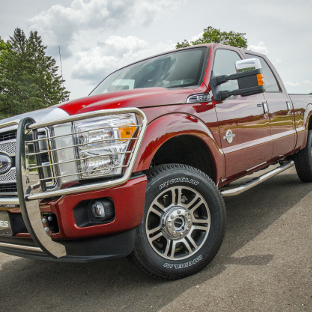 ARIES 3" side bars are available for the very latest truck applications as well as many older vehicles, such as the Ford Bronco, older F150 pickup, Chevy and GMC C- and K-series, Mazda B-series trucks and many more. 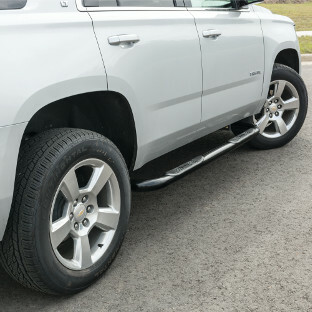 More than just a shiny accent, ARIES 3" round side bars offer reliable non-skid footing when climbing into your vehicle. 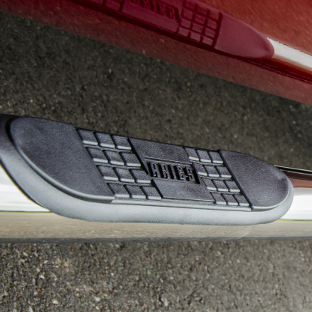 They feature tough polypropylene step pads with a textured surface to promote better traction even in wet conditions. 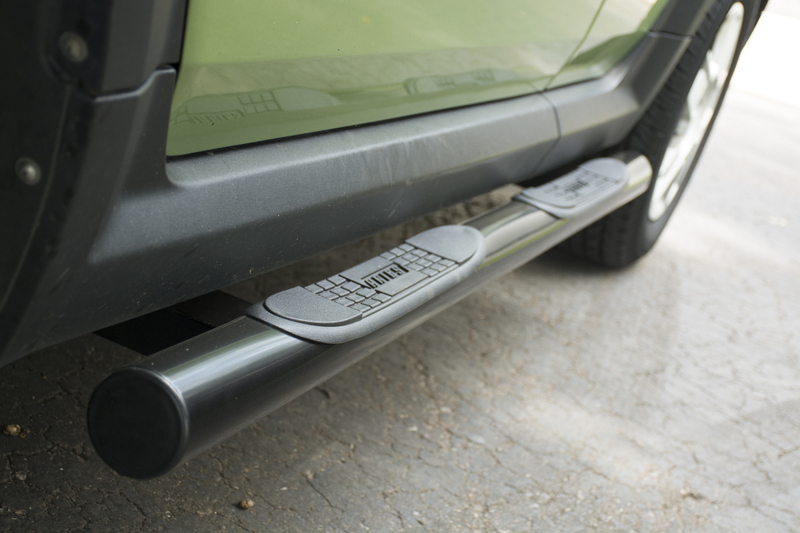 The step pads of each set of 3" side bars are custom-positioned, matching the door layout of the vehicle and placing a non-skid step exactly where you need it every time. All ARIES 3" side bars are constructed with 3" diameter, heavy-wall tubing. 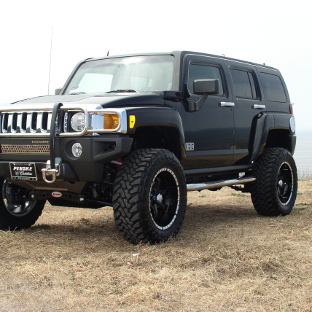 This provides a strong, rigid step up into your vehicle and offers a sleek, aftermarket look to accent your ride. 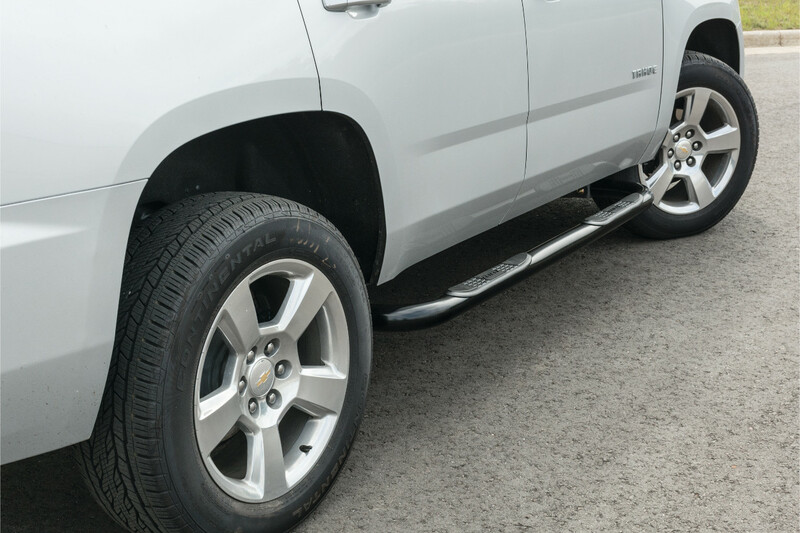 To accommodate your own specific tastes and the requirements of your specific truck, Jeep or SUV, ARIES 3" side bars are available in three finish options. Note: Some applications may not be available in all three finishes. ARIES polished stainless steel side bars are constructed from 304 stainless steel -- a high-nickel stainless that offers superior rust resistance. They are polished to a mirror-like shine for an unmistakable accent. ARIES black stainless steel side bars are made with 201 stainless steel and are finished with a semi-gloss black powder coat. The unique pairing of powder coat over stainless steel offers a highly non-corrosive black finish option. ARIES black steel side bars provide a high-strength option, being constructed from carbon steel and finished with a durable semi-gloss black powder coat. 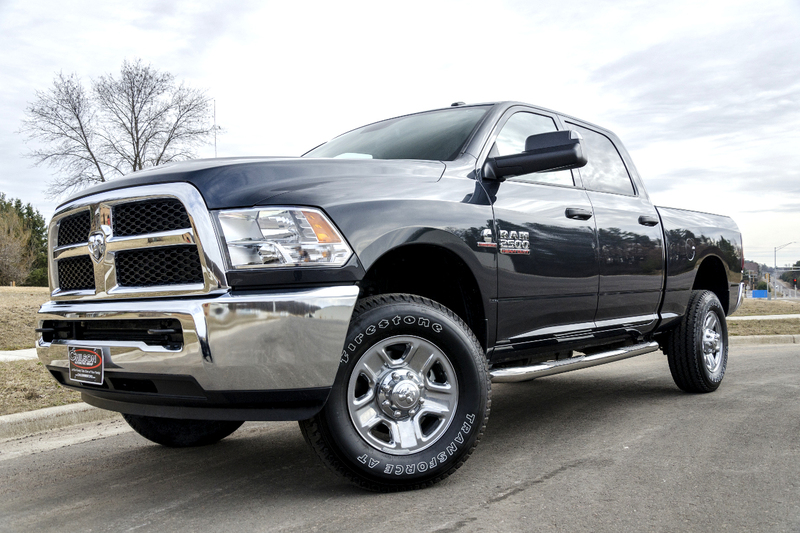 Installing ARIES 3" round side bars couldn't be easier. 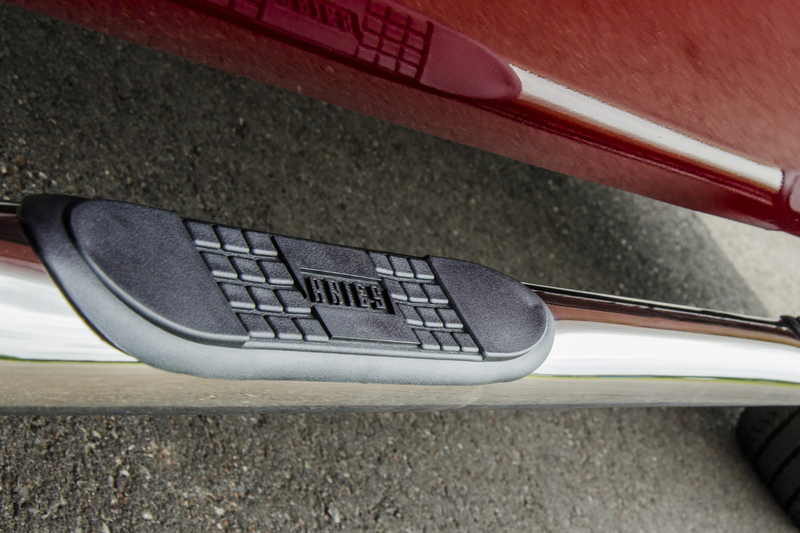 Whether you're customizing an offroad-style Jeep or just adding functional footing to your pickup truck, ARIES 3" side bars offer a no-drill, hassle-free installation. 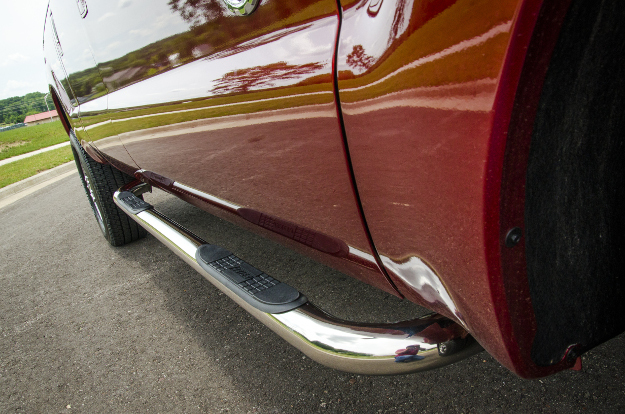 The mounting brackets for the side bars use pre-existing mounting points. 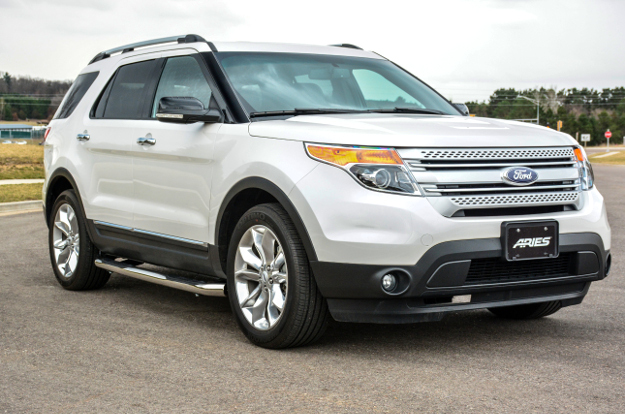 They quickly and securely bolt into place, integrating with the factory design of vehicle.